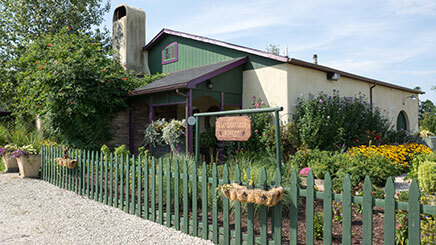 Harpersfield Vineyards, a destination all its own. and why we call it home. with a plate from our kitchen. to produce luscious quality wines. We’re delighted to share our farm with you. Our wine farm is open year round and we proudly offer our estate wines by bottle, glass, or taste. Our farm winery offers magnificent vineyard views in the warmer months and intimate fireside sipping when the days get cooler. While here savor small plates paired with our wines and enjoy the talents of our weekend blues artists. 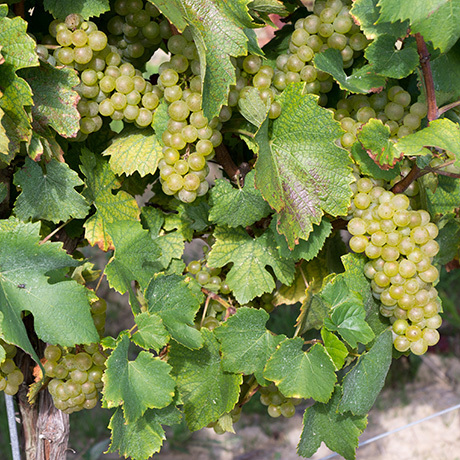 Chardonnay grapes ready for harvest at Harpersfield Vineyard. 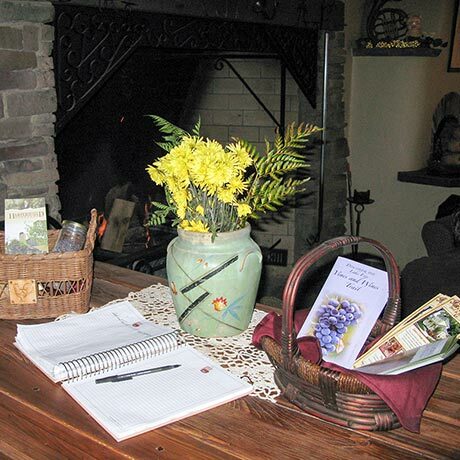 Enjoy sipping fine wine by a roaring six foot high rustic medieval fireplace in Harpersfield Vineyard tasting room..
Pinot Gris ready for harvest at Harpersfield Vineyard. Enjoy an Evening on our Beautiful Patio or Covered Pavilion with a Plate from the Kitchen. Daily Wine Tasting at Harpersfield Vineyard. 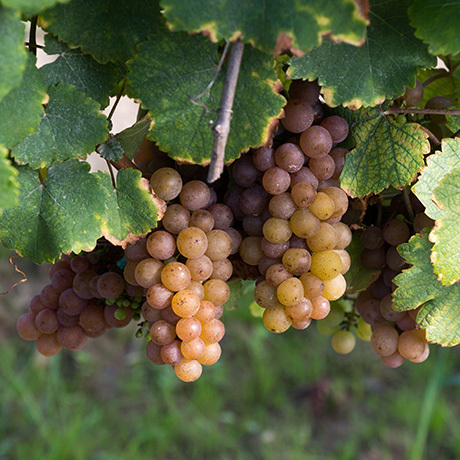 Welcome to the wine growing estate of Harpersfield Vineyard, a destination all its own. 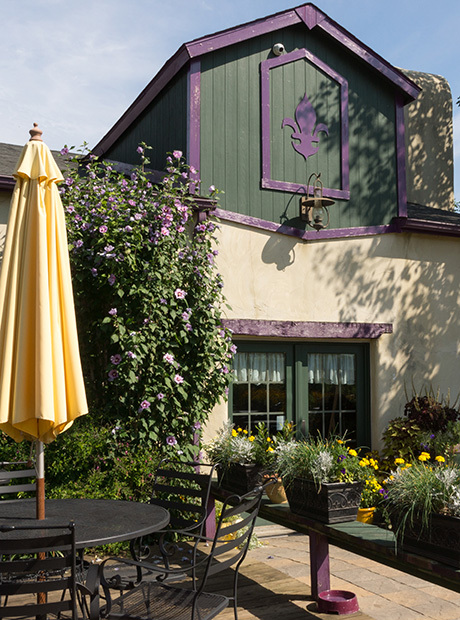 Our family owned farm and winery is located in the Grand River Valley wine region of Ohio. Since the inception of our farm in 1979, Harpersfield Vineyard has been passionate about producing wines that exhibit the character of this very special slice of earth. The vineyards consist of quality plantings of Pinot Noir, Cabernet Franc, Chardonnay, Gewurztraminer, Pinot Gris and Gruner Veltiner. 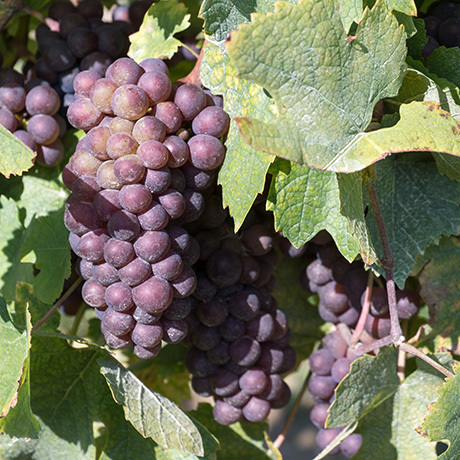 Harpersfield remains committed to producing superb Ohio wines from our estate grown fruit. Our wine list reflects years of tradition - not fad or fancy. We invite you to visit our family farm. Discover what makes this farm so special and why we call it home. Wine tastes are poured at our intimate wine bar from Noon until 5 (tasting fee applies per Ohio State Law). Feel free to enjoy a glass or bottle of your favorite Harpersfield wine. 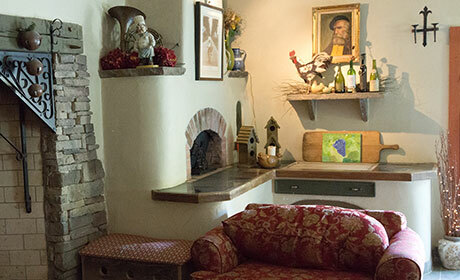 Wine and linger amongst the vines on our garden laden grounds and patio while enjoying our eclectic mix of guest musicians or in the cooler months relax in front of our medieval fireplace. Our kitchen is open daily and we feature hearty nibbles and small plates that pair perfectly with our estate wines. Reservations are not required or accepted – just swing by the farm and enjoy your Harpersfield experience. Keep in mind, no outside food or alcohol are permitted at the farm. We are pet friendly and ask that you please remain on the grassy areas of the farm. Planning a special celebration? Everyone loves a great party! Call or email us at the wine farm to discuss the possibilities for your special day. Harpersfield Vineyard is the perfect choice for entertaining a small or large group, with live entertainment on Fridays and Saturdays. Enjoy your time with your group at Harpersfield Vineyard while we cater to your specific celebration needs. Outdoor pavilion is available for groups protecting from sun or showers. Our kitchen supports local Ohio farms by serving fresh homemade dishes. Keep in mind, no outside food or alcohol are permitted at the farm. Sorry, we are unable to host weddings or wedding receptions. Our staff look forward to meeting you! We invite you to visit our family farm. 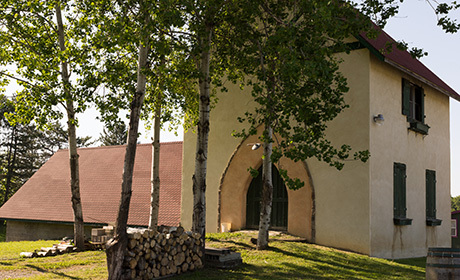 Enjoy an afternoon or evening enjoying fine wine in our elegantly rustic tasting room and grounds. The wine farm is open year round.